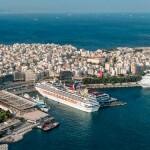 The Greek government plans to delay the privatization process for its largest Port, Piraeus, by a few weeks due to delays caused by the September 20 election to the works of the ministries involved in the procedure. 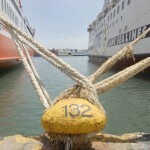 â€œWe will fall behind by about 20 days because the concession agreement that the shipping and finance ministries have to sign is causing a short delay,â€ a government official close to the matter told Reuters on condition of anonymity. 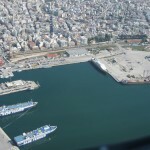 The Syriza â€“ ANEL coalition government must announce the date for the submission or bids for OLP â€“ the Piraeus Port Authority â€“ as part of commitments made in its bailout agreement with the countryâ€™s creditors. The smooth development of the OLP privatization process â€“ along with the implementation of a series of other reform commitments and prior actions â€“ will pave the way for Greece to receive a 2 billion euro tranche from it 86 billion euro rescue package. 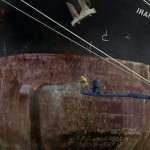 The shipping ministry still needs to review the draft agreement before it is presented to investors, another official said, adding that the re-elected minister had received the relevant material only â€œvery recentlyâ€. Having made a U-turn over the summer on austerity and agreed a bailout deal with the EU and IMF, the Alexis Tsipras-led government appeared committed to â€“ albeit reluctantly â€“ press on with an ambitious privatization plan. Ironically, Shipping Minister Theodoros Dritsas who kept his position in the new government was openly against the privatization of the Port Authority; he now has to successfully see it through. In January, the Dritsas had told Reuters that the government would be freezing the sale. Much changed since then as Greece narrowly avoided exiting the euro and saw its economy slip back into recession before Alexis Tsipras signed the countryâ€™s 3rd bailout in six years. 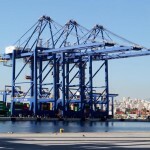 Chinaâ€™s Cosco Group, Dutch container terminal operator APM Terminals and Philippines-based International Container Terminal Services have until Oct. 30 to submit binding bids for a 51 percent stake in the port operator. However, now it appears that the deadline will be pushed back.